"Many great coaches and consultants have the dedication, education and experience needed to help others. They are just missing clients! 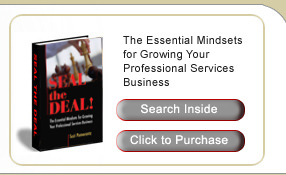 Seal the Deal shows you how to solve this problem and helps you turn great talent into a great business. This is an important book!" Marshall Goldsmith, America's pre-eminent executive coach, is acclaimed as one of the most influential practitioners in the history of leadership development. Goldsmith is recognized as one of the 50 great thinkers and leaders of the last century. He has authored 22 books on leadership. Hundreds on networking. Thousands on marketing. Tens of thousands on sales. But until now none have revealed the power behind bringing these three important business-builders together in a critical trinity for success. And who better to write the book on it than the woman known for living the formula? 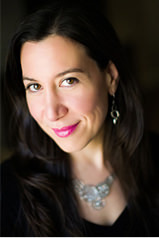 Author Suzi Pomerantz, MT, MCC is an executive coach, performance consultant, and corporate trainer specializing in leadership development with Fortune 500 clients and public sector leaders. Internationally certified as a Master Certified Coach by the International Coaching Federation, Suzi has coached and trained thousands of high-profile, high-performing executive leaders at organizations across the nation from Pfizer to the U.S. Defense Intelligence Agency. A coaching veteran in the legal arena, Suzi has also led executives and senior managers in six corporate law departments, from DuPont to General Motors; has provided coaching and strategic counsel to numerous law firms and legal service providers; and has contributed to the development and growth of the nationally acclaimed DuPont Legal Model. Visit her company website at www.innovativeleader.com for more information about Suzi, her coaching organization leadership activity and published articles, or to learn more about her education and professional affiliations. You can also read a full version of her biography here.